I'll admit it--I love to teach place value. Why? I don't know... Maybe because I like organizing things into groups (give me a messy drawer and I'll have fun making it look great). 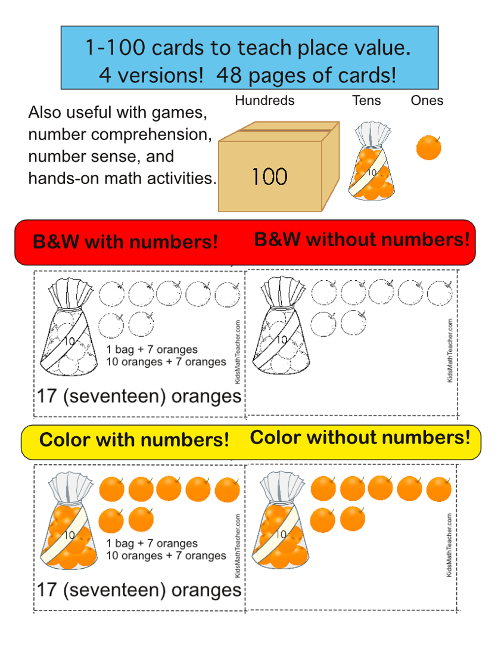 Anyway, I have made quite a few posts with place value already, but thought I would do another one since it is a concept that kids really need to understand well. I'm not sure if you can over-teach place value. What do you think? Although if you pick other objects to use like paperclips or cereal that's okay too. In second grade most children are learning about three digit places (typically ones, tens, and hundreds). I think it is a good idea for them to know typical money place value as well (hundredths, tenths, ones) so you would use pennies, dimes, and dollars. One activity you can do with your students is to play a game called "What makes a Hundred"
Kids are in small groups--such as a math center. Use a 30 second timer and have them start it. After the 30 seconds are up everyone with the correct number gets a point. They could play for a specific amount of time or play until someone gets 10 points (or some other predetermined number of points). 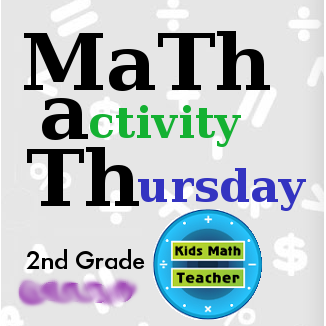 What math activities have you been doing in your classroom? You can share link your blog posts below. Thanks Tara for noting that. So true! To do math mentally I am always thinking of how close the number is to a 5 or 10 or 100 near it. Thanks for adding your link! Thanks! Yes, I agree it would make a great time filling activity : ) Thanks for stopping by and taking the time to comment. A math teacher -- now, here is a blog after my own heart. My son is in fourth grade and math is one subject we still have to work on. He prefers science (especially anything dinosaur related, what's with kids and dinosaurs? :)) or reading, but I keep telling him math is extremely important. We're working on fractions now, and multiple digit division. I love your site and will certainly have to return and explore. Maybe I'll bring my son along. Thank you.